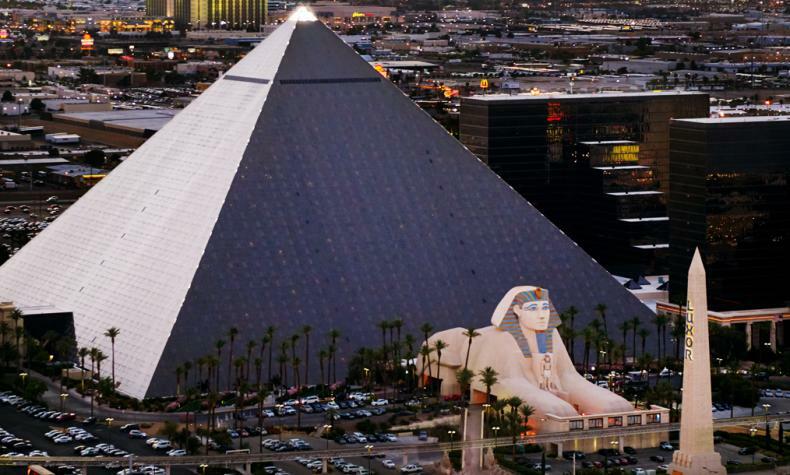 One of the most recognizable structures in Las Vegas, the Luxor Hotel stands majestically. The identifiable pyramid with its illuminating spotlight is one of the few manmade structures visible from space. Even more awe-inspiring sights await inside, with the world’s largest open atrium. Plus, enjoy top-notch accommodations and impeccable customer service. From electrifying entertainment and nightlife, to relaxing spas and signature restaurants, Luxor offers a unique and memorable visit.